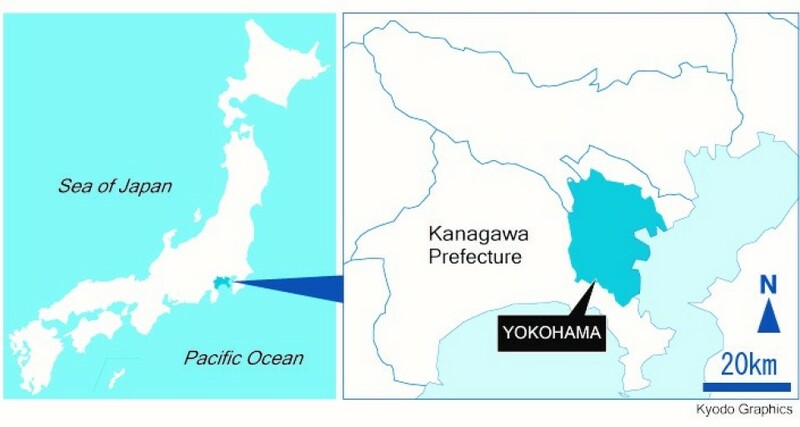 More than a century and a half after the first rugby club in Asia was established in the city, Yokohama is keen to promote the role it played in growing the sport in Japan while welcoming fans from around the world as one of the host cities for the 2019 World Cup. Now a heaving metropolis indistinguishable from greater Tokyo, Yokohama was once a small fishing village about 30 kilometers west of the Japanese capital. Despite this humble history, the city played an integral role in the introduction of foreign sports to Japan when it was forced to open its port to the world in 1859 under pressure from western trading powers such as the United States, Britain and France. British merchants who arrived mainly via China introduced cricket, tennis and "football", later called rugby, after the feudal Tokugawa shogunate allowed them to establish a settlement in the area following the opening of the port. In 1868, Scottish merchant James Pender Mollison founded the Yokohama Cricket Club. That year, the Meiji Restoration occurred in Japan, considered as an epoch-setting power reversion from Tokugawa to the emperor. Other sports clubs were established, including the Yokohama Amateur Athletic Club in 1873 and the Yokohama Baseball Club in 1875. The clubs merged with YCC in 1884 and YCC changed its name to the Yokohama Country and Athletic Club (YC&AC) in 1912, according to research by Englishman Mike Galbraith, the club's historian. Rugby in Japan was initially believed to have been introduced to Japan in 1899 when English lecturer Edward Bramwell Clarke and his friend Ginnosuke Tanaka, a Cambridge graduate, taught the sport to students at Keio University and oversaw the first match between Keio and the Yokohama-based foreign club in 1901. But the history was later revised. After traveling in India and many Asian countries for years, Galbraith arrived in Tokyo in 1973 and soon joined the rugby club. Now 71, Galbraith began researching the sport's history in Japan while organizing a tour to watch the first Rugby World Cup in Australia and New Zealand in 1987. Following more than two decades of research, Galbraith found documentary evidence that showed the establishment of the first football club in Yokohama as early as 1866. An article dated Jan. 26, 1866, titled "Yokohama Foot Ball Club" from the then Yokohama-based Japan Times, describes a meeting held to organize the club and elect five members to its committee, including Lord Walter Talbot Kerr, an officer of the Royal Navy stationed in Yokohama at the time. Until the rugby football union was formed in Britain in 1871 and adopted unified rules, football was the word used for rugby. Yokohama Football Club was consolidated with Yokohama Cricket Club in 1884 with the other two sports clubs, Galbraith said. 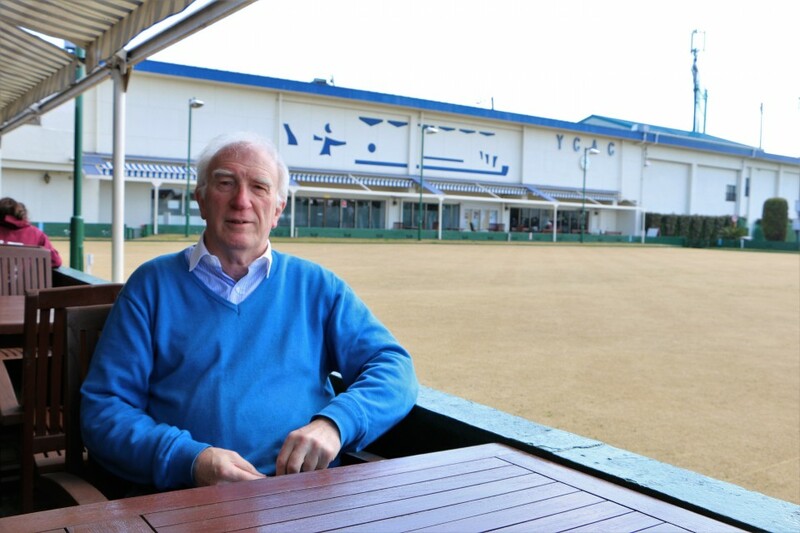 "The football club set up in Yokohama was one of the oldest rugby teams outside Britain," he added. He also pointed out that the presence of about 1,500 British troops in Yokohama in the 1860s played a crucial role. The troops were stationed in the area in the wake of the 1862 Namamugi Incident, an episode that is considered as pivotal in the process Japan underwent in opening up to the outside world. In the fabled Namamugi Incident, British merchant Charles Richardson, who was visiting Japan from Shanghai, was attacked and mortally wounded by a cadre of sword-wielding samurai who took umbrage at Richardson and his fellow travelers for refusing to dismount from their horses when they came across a highly-ranked samurai and his entourage on a road in Namamugi village. The young British officers were sent to Yokohama from 1864 to protect the foreign community in the port city, many of whom had been educated at Rugby School, where the sport was born in 1823 with rules similar to those now used, according to Galbraith's research. "They should have had enough time to play the sport in their idle time in a mild winter climate in Yokohama," Galbraith said. 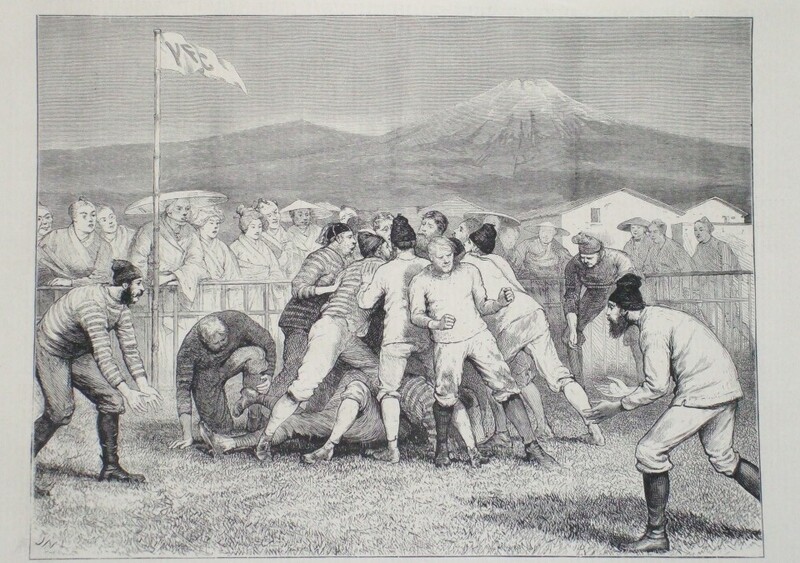 In 2015, the World Rugby Museum in Twickenham, England, recognized Galbraith's claim that the founding of Yokohama Foot Ball Club in January 1866 makes it the oldest in Asia. "Yokohama played a unique role in the development of rugby in Japan. Regarding the final match (of the 2019 World Cup) here, it is good for Yokohama, but I feel Yokohama somehow lost its sports history," said Galbraith. The International Stadium Yokohama, better known as Nissan Stadium, will host seven World Cup matches this fall featuring many of the world's best teams, including former World Cup winners South Africa, New Zealand and England. It will also hold the final on Nov. 2. "Every major sport started in Yokohama. The city government should do more to promote and leverage its sports history. I hope the world will begin to understand the history of rugby in Japan," said Galbraith. 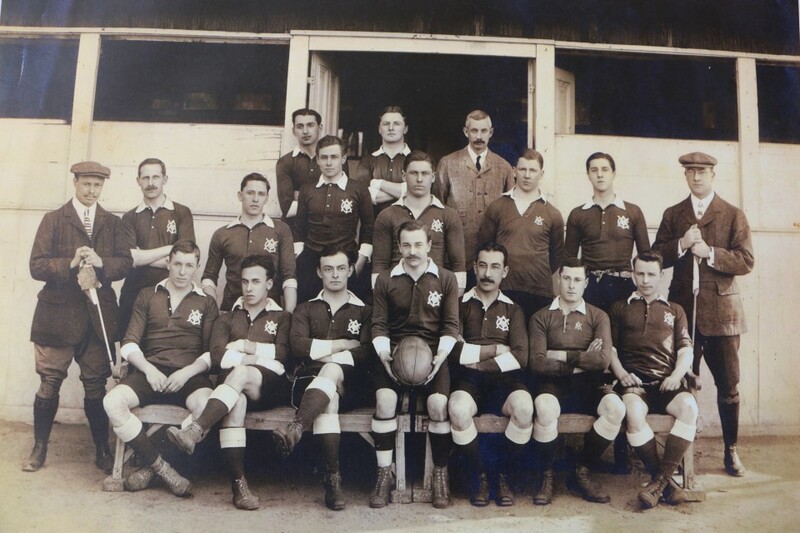 The rugby football union of Kanagawa Prefecture, which covers Yokohama, is now preparing to build a memorial to honor the legacy of the sport in the city. The memorial is expected to open to the public at a park in the city's famous Chinatown in late July, 100 days before the curtain-closer. "I am impressed that the birthplace of rugby in Japan will host the final match of the first RWC in Asia. 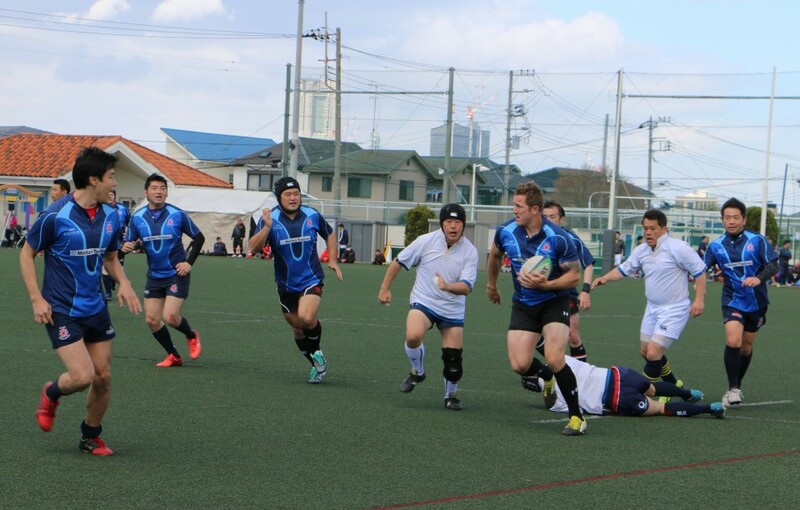 The history of rugby in this city is connected to the current big event," said Makoto Tsunoda, secretary general of the prefecture's rugby football union. YC&AC, inheriting a legacy from Yokohama Foot Ball Club, has now around 700 members from 38 countries. The club has taken pride in contributing to the Japanese rugby community for over 150 years, providing opportunities for foreign residents to play the game and Japanese players to size themselves up against visiting foreign teams. Sadao Hosogai, who became the first Japanese chairman of the YC&AC last May, said, "I am expecting the history of our club may draw much more attention toward the final match of the RWC in Yokohama."